Northern California has claimed its rich history and is known as the heart of the Gold Rush. However, Sacramento, the capital city of California, is home to a brilliant community of people that make an impact for many non-profit and charitable organizations. The generous business community leaders' partner with local organizations that are in need of funding and support. It is this type of philanthropy, volunteerism and caring that makes this region truly golden. Sacramento is a relaxed city that is growing with a new upcoming sports arena and restaurants downtown, yet their charms is the caring communities that support and offer locals a place to feel proud and happy to call home. Visitors are delighted with California history, sports, an array of restaurants, parks, and many things to do. The Sacramento Capital Region is truly a rare gem. 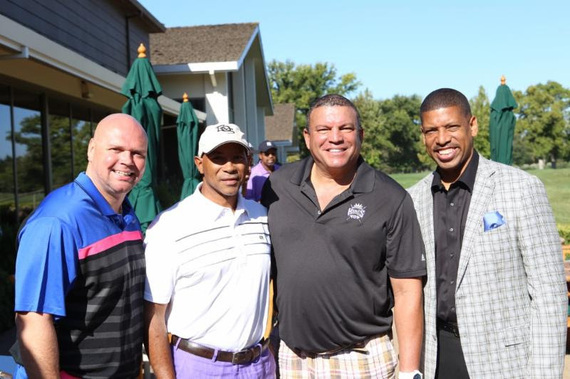 On August 31, 2015, with support of the City of Sacramento Office of Mayor Kevin Johnson, and Vice Mayor Allen W. Warren, and title sponsor, New Faze Development, an impressive Inaugural Celebrity Golf Classic produced by Hammond Entertainment, a Los Angeles event production company was held at the exclusive Del Paso Country Club, home of the US Senior Open. 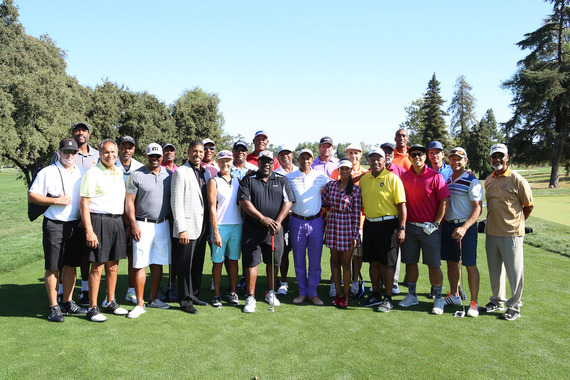 Many local businesses and celebrities supported and participated in the tournament that raised awareness and monetary goals for the Boys & Girls Club of Sacramento and Quest 4 Success, both organizations promote the well-being and success of youth in Sacramento. L-R CEO of Wells Sweeping, Brandon Wells, City of Sacramento Vice Mayor, Allen W. Warren, CEO of Hammond Entertainment, Bill Hammond, Sacramento City Mayor, Kevin Johnson. The charming Citizen Hotel and Grange restaurant in downtown Sacramento was home for the celebrities that traveled to Sacramento for this event. 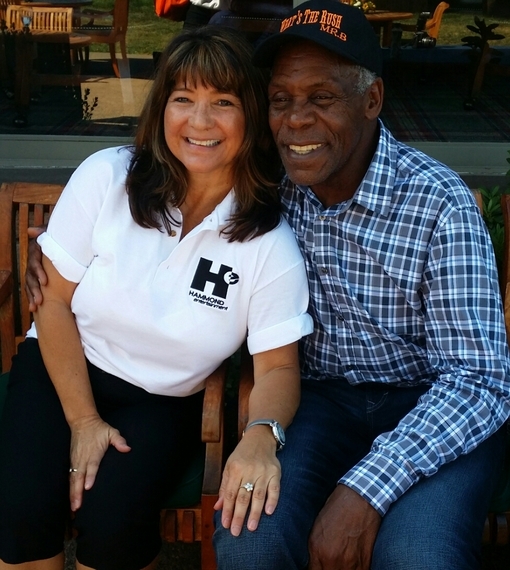 Bill Hammond, CEO of Hammond Entertainment, Inc. was thrilled to be back in his hometown producing this event and called in many of his celebrity friends to help the local charities. The impressive list of sport legends, actors, and local celebrities that participated were: Danny Glover, Adrian Paul, Cedric, "The Entertainer", Bobby Jackson, David Garabaldi, Debbie Meyer, Grant Show, Greg Vaughn, Harold Pressley, Jerry Royster, Jim Plunket, JT Snow, LaSalle Thompson, Matthew Settle, Richard Roundtree, Ricky Jordan, Rodney Peete, Roy Green, Scott Erickson, Seema Sadekar, Jerry Manual, Rick Jennings, Leon Lee, Jin Jin Shack, and Truck Robinson. I have such gratitude for everyone that came together to support, encourage and promote success for our youth and was very proud to be part of this fundraising celebrity event. This inaugural celebrity golf classic event was successful and everyone that supported and participated had a wonderful time and is looking forward to the next one. The next event will surely be as good and even better and who knows, maybe it will be coined the new "Golden Golf Nugget" of Sacramento.